Saturday 15th April 2017 – total 577 miles. Woke at 7.30 and had a leisurely breakfast of tea and toast with honey. Rain in the night and still a few spots in the morning. 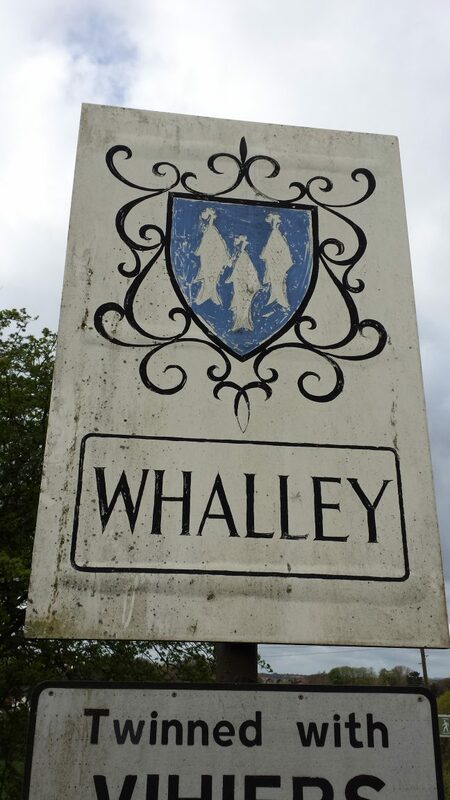 We arrived in Whalley around 8.45 and Ivan welcomed us in and made coffee for us. We were joined by Ivan’s wife Sarah and we spent a pleasant couple of hours chatting. 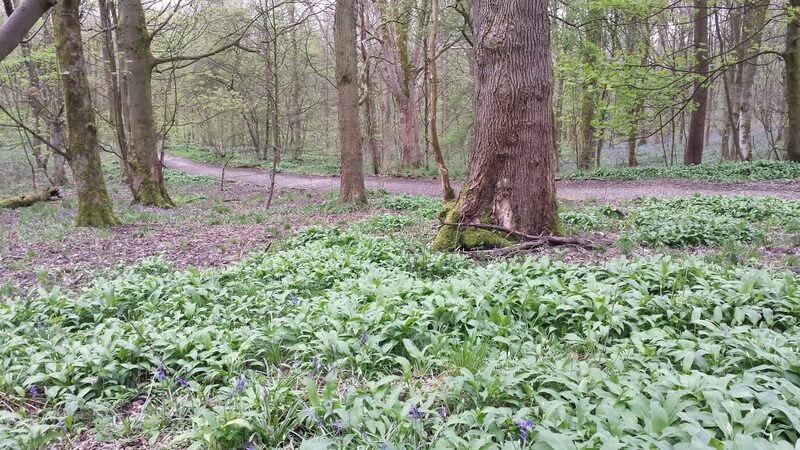 A walk in the local bluebell woods was the plan for today. We were joined by Ian and Dot who we met last summer at Ivan’s 60th and Debbie who kindly put us up last year on our walk. 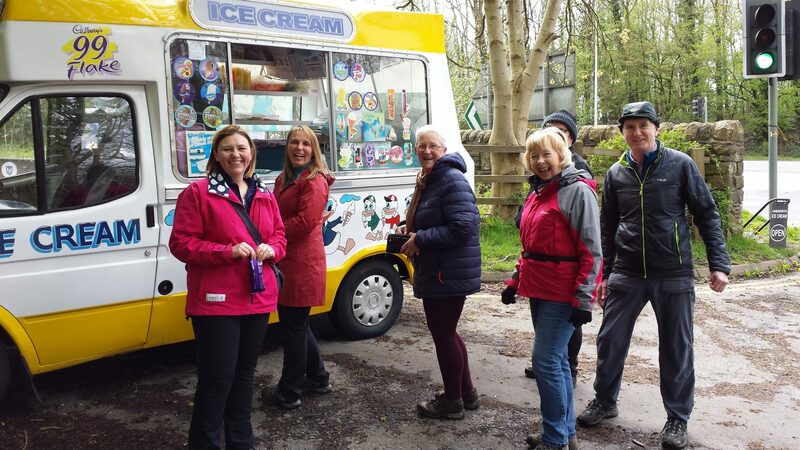 Although the wind was quite chilly we enjoyed our walk along the riverbank and up to Spring wood – we even had an ice cream. 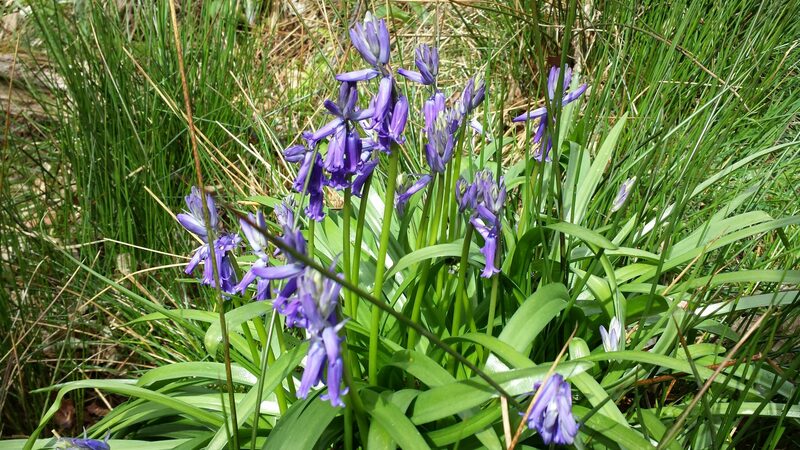 The bluebells were just coming into bloom, wood anemones and wild garlic too. 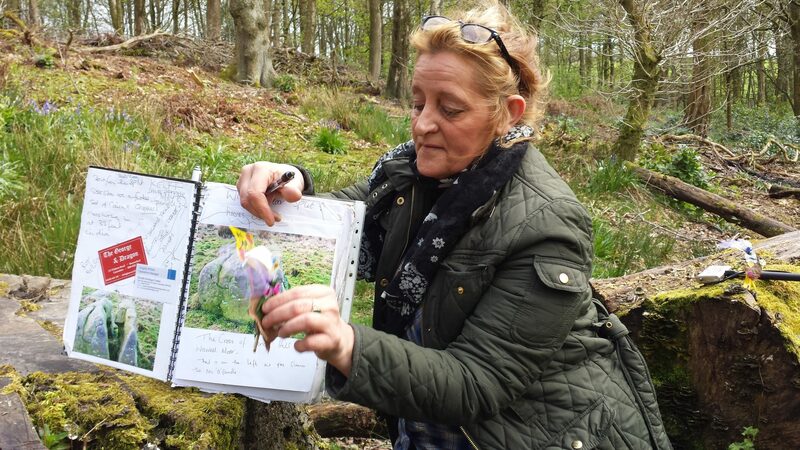 We met Dawn Hilton in the wood. She told us that she is an artist interested in natural forms and ancient artifacts. 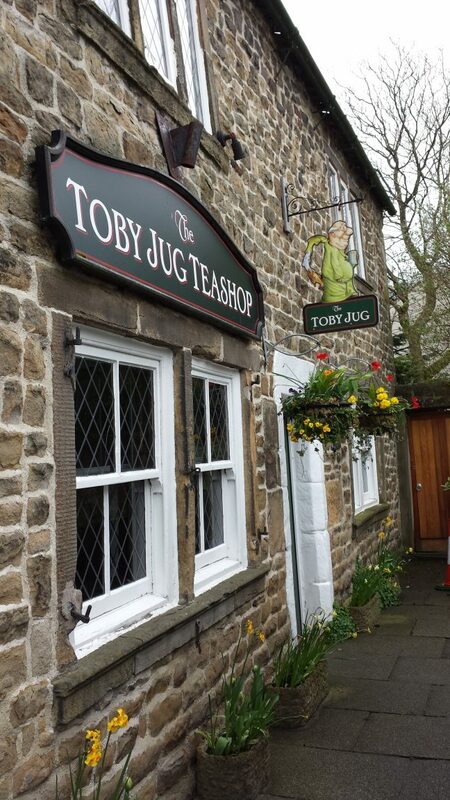 We arrived back in Whalley around 1.30 and went to the Toby Jug for lunch and very tasty it was too. We all wandered slowly back to Ivan and Sarah’s home looking at all the interesting shops and eateries on the way back. Debbie, Ian and Dot had to go – great to meet up with them again. We relaxed for an hour or so then went out for the evening. 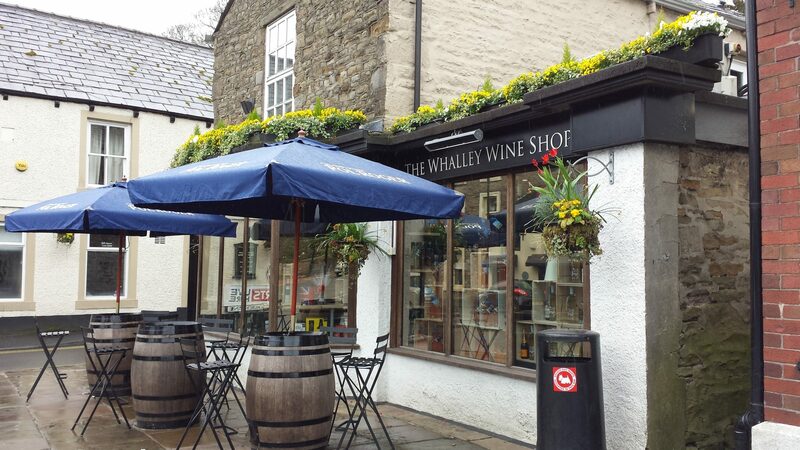 Our first stop was Whalley Wine Shop where we enjoyed a bottle of Cotes de Rhone before walking on to the Trishna Indian restaurant for a delicious meal. 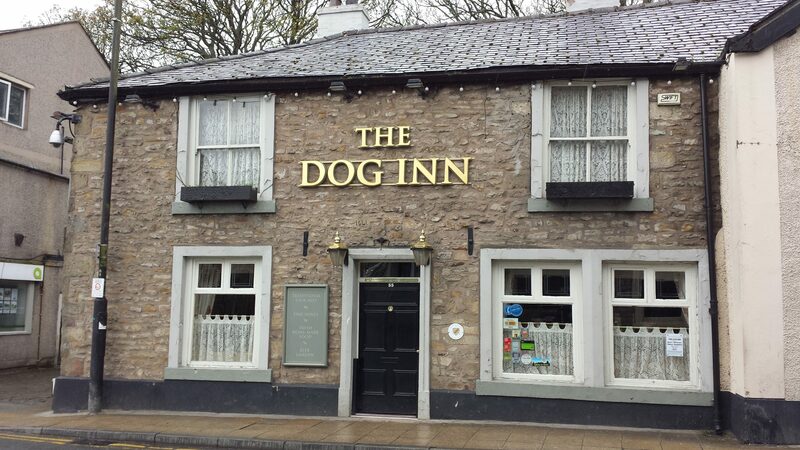 We stopped at The Dog Inn on the way back for a pint then back for a well earned sleep. Such a pleasant day spent with friends old and new. As always it was a delight to see you two again. 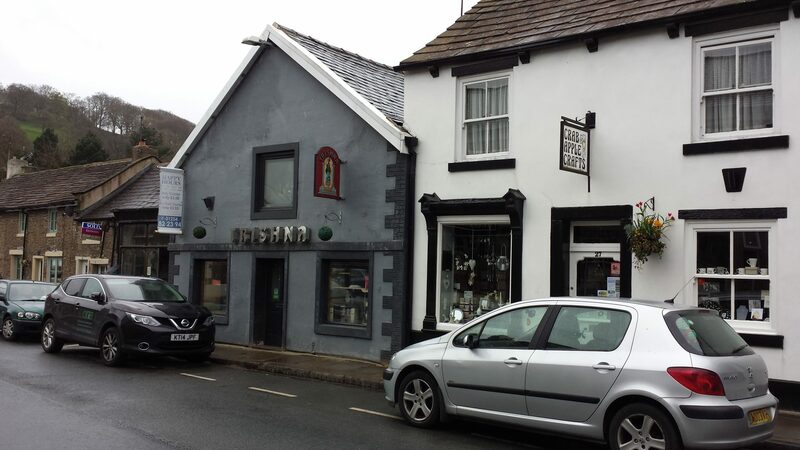 I’m pleased the local eateries and drinkeries did such a good job for us. We’re looking forward to your next visit, whenever that will be. PS. You’re website clock is an hour wrong! It’s 3.32pm now. Thanks for letting me know. Cheers.